Its getting springy here – my absolute favorite time of the year! So I thought I’d sketch out another little digi stamp set freebie. Think of it as another Birthday party prize (yes – we are still partying!). This set contains 2 spring flower images and 5 sentiments. Both JPG files and transparent background PNG files are included in the download. You can download the file in the Paper Garden Projects store here. While you are there – take a look at all our Birthday sales and all the new merchandise we’ve added. So much fun stuff!! So what else is going on with the Birthday Party? You still have until Monday (3/22) to enter our sketch challenge for the chance to win the Miss Anya stamp set. Check out our Design Team call – we’d love to see your work. Come back on Friday to check out our next Birthday challenge. This entry was posted in Digital Stamps and tagged Basic Grey, Copic Markers, Digital Stamps, spellbinder dies on March 17, 2010 by Cathy. Hey Cathy!! That sure is a beautiful set to be giving away for free!! How generous of you!! Love it! Thank you!! Thank you so much for these beautiful images! I can’t wait to make something with them!!! Love these florals! Thank you! Party on Catherine!! Thank you SOOO much! These are beautiful and I will definitely use these! 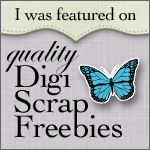 I just want to thank you for creating and giving away these beautiful digital stamps! I had never used any digital stamps before but now I’ve tried yours, I’m converted! Here’s the cards I made with your lovely stamps! They were such a joy to paint. By the way, I hope you open up your design team to the rest of the world in the future, I’d love to apply, I just love your style! Thank you so much for the gorgeous freebies…… one day I will find time to use them! !